Do you miss the sunny days and the blue sea? “Sunshine Bay” will take you to the tropical island, and you will have everything to make sure your vacation is a blast: crystal-clear ocean waves, yachts, spa salons, and an excellent company. What can be better than that? Try yourself as an owner of a beautiful island: buy yachts and the speed-boats, send them to any place you wish, build luxury hotels and recreation centers to attract more tourists. If you want to see your friends – visit them on the neighboring islands. And whenever you get tired of all the fun in the sun – try to reveal the mysteries of this tropical paradise. Treasure maps, sea monsters, pirates’ gold… Are you brave enough? Then step aboard and sail on an adventure! 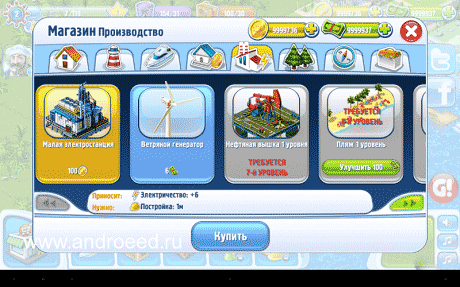 Use simple and easy game interface. 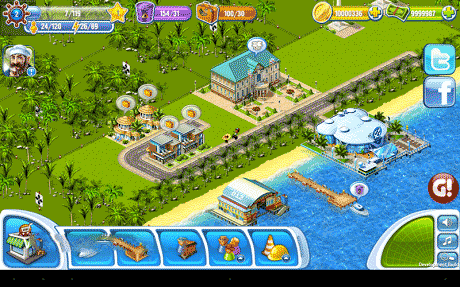 Download last version Sunshine Bay apk for android from revdl with direct link.